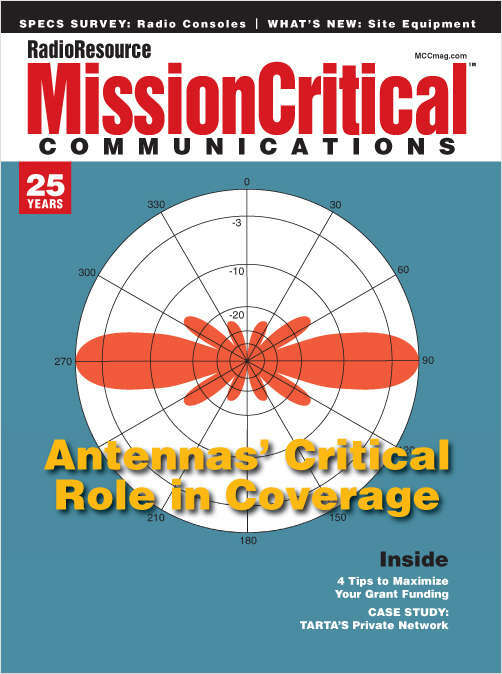 Free Magazine Subscription: "MissionCritical Communications"
Delivers wireless voice and data solutions for mobile and remote mission-critical operations in the U.S. and Canada. Do you wish to receive a FREE subscription to MissionCritical Communications? RadioResource Media Group can now deliver every issue of MissionCritical Communications directly to your computer. Their new digital edition is the exact replica of their print magazine except you receive it electronically and you'll be able to click on links, search editorial, access archives, save and print articles, and much more. Plus, for each digital subscription they receive, they will plant a tree through the reforestation program with the America Forests Organization. Which edition of MissionCritical Communications would you like to receive? Which best describes your organization AT YOUR LOCATION? Do you specify, recommend or purchase mobile communications equipment or services? Approximately how many mobile voice and data units does your company use at your location? Is there any servicing of mobile equipment at your location? Complete and verifiable information is required in order to receive this subscription. • Geographic Eligibility: USA. For wireless professionals outside the US please see RadioResource International.. • The publisher determines qualification and reserves the right to limit the number of free subscriptions.